Hello, I’m Terry Vaine, the owner of T M Vaine Electrical, a small family run electrical contracting business based in Dorset. We have been providing an electrical installation and maintenance service to our customers for over 25 years. Before relocating our base to Dorset we didn’t advertise our service for about 20 years, as we were in the fortunate position of having enough work from word of mouth recommendation alone. We continue to work with our existing London clients, and we are looking forward to building rewarding long term relationships with our new clients in Wareham, Poole, Bournemouth, Wimbourne, Purbeck and throughout Dorset. We are registered NICEIC Domestic Installers (National Inspection Council for Electrical Installation Contracting) for all domestic work, as well as being NICEIC Approved Contractors for both domestic and commercial work. We are also approved by Dorset Trading Standards under their Buy With Confidence scheme. We are full scope Building Regulations Part P registered installers and give a 6 year insurance backed guarantee on all Part P work. I studied Engineering Technology at a Technical College and Mechanical Engineering at University. I later completed further training to become an electrician, worked for several electrical contracting firms, and obtained my JIB (Joint Industry Board) electrician grading. I have over 27 years experience in the industry. 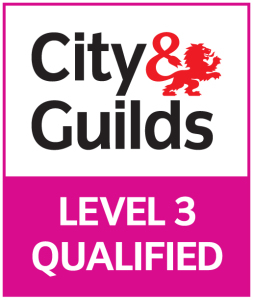 I am City & Guilds Level 3 qualified in Electrical Installation, fully insured, DBS (previously CRB) checked, and an NICEIC Qualified Supervisor. All our work is carried out to the latest IEE Wiring Regulations BS7671, and supplementary guidance from the ESC (Electrical Safety Council). We work with householders, tenants, landlords, estate agents, children’s nurseries, architects, engineers, builders, interior designers, gardeners, charities, shops, housing co-operatives, and companies of all sizes. Please see some of the companies that we have worked for on the Our Clients page, and customer reviews on the Testimonials page. If you require a totally reliable experienced electrician at a reasonable price, just call Terry on 07973 661043 or 01929 550795. We are often able to answer your call immediately, but if we are unable to do so please leave a message and we will return your call as soon as possible, often the same day. We serve most areas of Dorset including Wareham, Poole, Bournemouth, Christchurch, Swanage, Corfe Castle, Dorchester, Weymouth, Ferndown, Wimborne Minster, Upton, Broadstone, Blandford Forum, Sandford, Stoborough, Ridge, Wool, Bere Regis, Corfe Mullen, Lytchett Matravers, Langton Matravers, Worth Matravers, Studland. We also serve South Somerset, South Wiltshire and West Hampshire, as well as South, West & Central London.